Look Smart has just released one of the most hotly anticipated 1:18 replicas of the year, in the form of Gilles Villeneuve’s victorious Ferrari 312 T3 from the 1978 Canadian Grand Prix. This, of course, was the legendary Canadian’s very first grand prix winning car. Gilles enjoyed a rapid climb up the Formula One ranks. After impressing James Hunt by beating him in a Formula Atlantic race, Hunt’s McLaren team offered Gilles a drive in its third car in the 1977 British Grand Prix at Silverstone. The results may say that he only finished 11th, but that glosses over the fact that he set fifth fastest race lap, and was delayed for two laps in the pits having a faulty temperature gauge seen to. Despite that impressive debut, McLaren opted not to continue with the young man from Quebec. 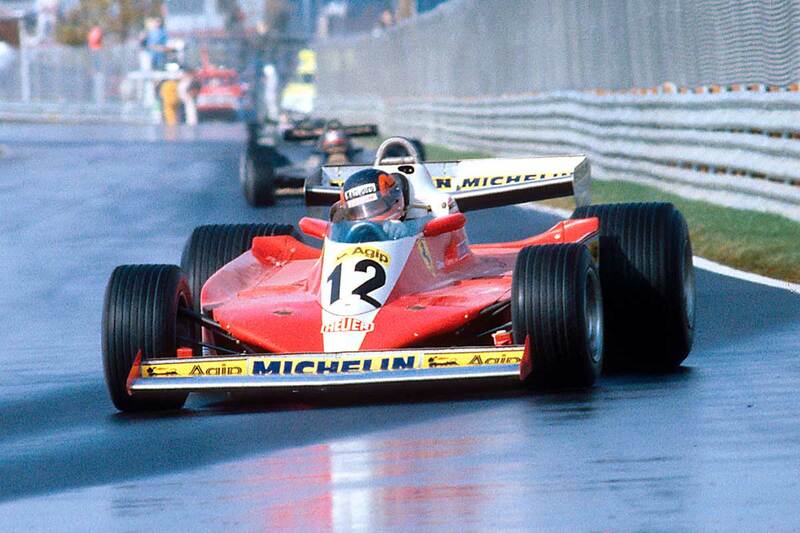 Ferrari stepped in, offering Villeneuve a ride for the last two races of 1977 and beyond. He would spend the rest of his career (and his life) with the team. By the end of his first full Formula One campaign in 1978, Villeneuve had already established his reputation as one of the most exciting drivers in the history of the sport. This came at a cost though, as he ended his race in the barriers on more than one occasion. His Ferrari wasn’t exactly the most reliable car on the grid either. Coming into the season finale at Montreal, Gilles had just eight points to his name, with half of those thanks to his first podium at the Austrian Grand Prix. Jarier established himself in the lead at the start of the race, while Villeneuve ran fourth behind Jones and Scheckter. He made his way by both of them, and then inherited the lead when Jarier retired with a lack of oil pressure. He took his first grand prix victory by 13 seconds from Scheckter, and in front of his home crowd too. There was a huge deal of excitement amongst collectors when Look Smart originally released this replica last year, followed by another when it arrived in our warehouse the other day. We have just a dozen pieces remaining after fulfilling our customer pre-orders, so do not delay. This rather special 1:18 model also comes complete with its own display case, by the way.